FACT CHECK: Did David Hogg Lie About Being on Campus During Mass Shooting? Conspiracy theorists used an out-of-context clip to raise "questions" about a statement made by a Parkland, Florida mass shooting survivor turned gun-control advocate. Marjory Stoneman Douglas student David Hogg was caught lying about being on campus during a February 2018 school shooting when he told CBS that he had to get on his bicycle and ride to school. In the days following massive 24 March 2018 demonstrations around the world advocating for more stringent gun laws in the United States sparked by survivors of a mass shooting in Florida the month before that left seventeen people dead, the conspiracy theorist world convulsed as it attempted to create and promulgate rumors to discredit the faces of the movement. On the day of the shooting, I got my camera and got on my bike and rode as fast as I could three miles from my house to the school to get as much video and to get as many interviews as I could because I knew that this could not be another mass shooting. 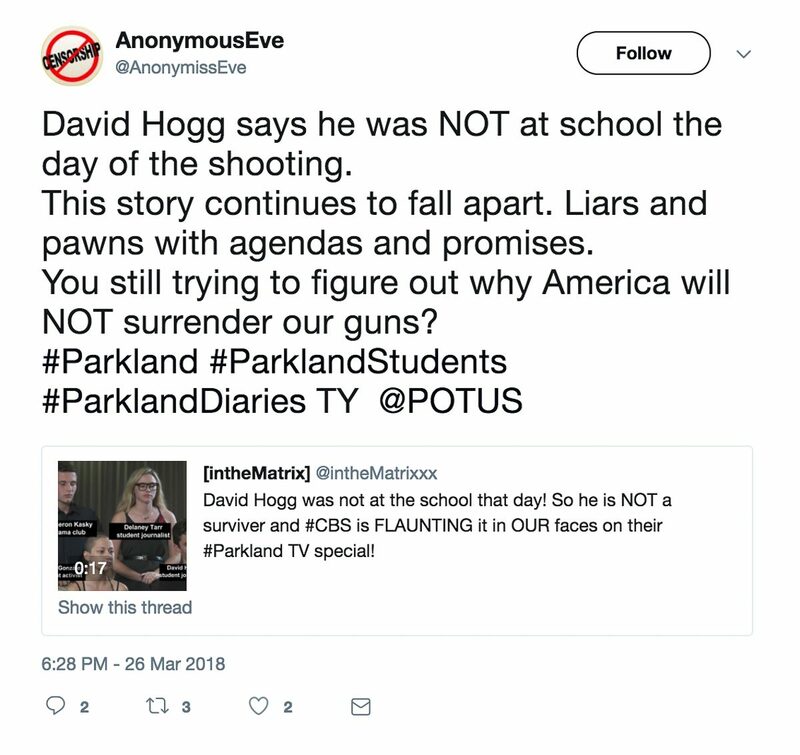 Hogg, like many survivors of mass shootings, has already been accused of being a crisis actor and a fake student. The attacks only increased after he and a small group of fellow students formed a small, but outspoken group of gun-control advocates which swelled and coalesced into the huge #NeverAgain movement. If Hogg was at school when the shooting began, saying he heard gunshots and the fire alarm, then why is he talking about riding a bike three miles to get to school on the day of the shooting? I lived one mile from my high school, and rode my bike freshman year. I’m well aware of what it takes physically to ride that distance. Assuming Hogg was in very athletic shape, he may have been able to ride a bicycle around 15 mph or slightly faster. Stoneman Douglas High School is bordered by several major highways and roads, and I don’t know Hogg’s exact route, but he would have undoubtedly had some delays due to traffic and crossing those busy streets. Best case scenario, if Hogg were at home, left immediately once he heard the news, and had an adrenalin-fueled ride at his highest possible speed, it would still have taken him about 15 to 20 minutes or even longer to get to campus. His father worked in law enforcement, and taught him about weapons and how to handle them. So when Hogg heard a “pop” while sitting in an AP environmental science class around 2:30 p.m. Wednesday, he told his teacher it sounded strangely like a gunshot. But there had been a fire drill that very morning and talk of a “Code Red” exercise to prepare for an active shooter. This must just be a surprise drill, he reasoned. And then the fire alarm sounded. Dutifully acting on it, Hogg and other students tried to exit the building. A janitor — Hogg doesn’t know his name but calls him an angel — knew where the shots were coming from and sent the students back. Then a culinary arts teacher, Ashley Kurth, pulled Hogg and others inside, locked the door, and made them hide in a closet. Checking Twitter and Instagram, Hogg — who’s an editor at the school’s TV station — found the news that the shooting was real and ongoing. I start shooting B-roll, and I see Fox News over there. 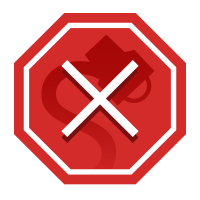 I knew I wanted to talk on the news and make sure there was advocacy, especially with so many people from the [National Rifle Association] and different gun-toting Americans who watch Fox News. I went on the day of [the shooting], and said, “There cannot be another mass shooting,” and I think that’s partially why. But also other people started saying that at the same time. I’m looking at the school right now. You can see bullet holes in the windows. It’s insane, and the fact that there’s more bullet holes in those windows than bills that have been proposed and passed to save these kids’ lives is disgusting.